The lawsuit argues that the constitutional rights of the families were violated by the Trump administration’s policy and asks that the parents be reunited with their children, one as young as 2 years old. It’s unclear whether or how the children will be united with their parents in light of Trump’s Wednesday announcement. Early in the afternoon, the president signed an executive order reversing procedures that have sent more than 2,000 immigrant children to facilities separate from their parents. His “zero tolerance” immigration policy — which asserts that all adult immigrants caught crossing the border will be prosecuted — will remain in place, and it’s still unclear how families will be kept intact without sending kids to jail alongside their parents. Those two parents were criminally convicted for entering the country illegally — i.e. not at the port of entry. They’re the type of border-crossers targeted by the Trump administration’s “zero tolerance” policy, and they continue to be detained as they pursue asylum claims. The Guatemalan mother of three who sought asylum at the port of entry should not have been separated from her children under the policy, according to Department of Homeland Security rules. Families that bring asylum claims legally at ports of entry can only separated if officials believe they aren’t actually related, if they worry the children are unsafe with the parents or if the adult is referred for criminal prosecution. It’s unclear if any of those conditions applied in this case. 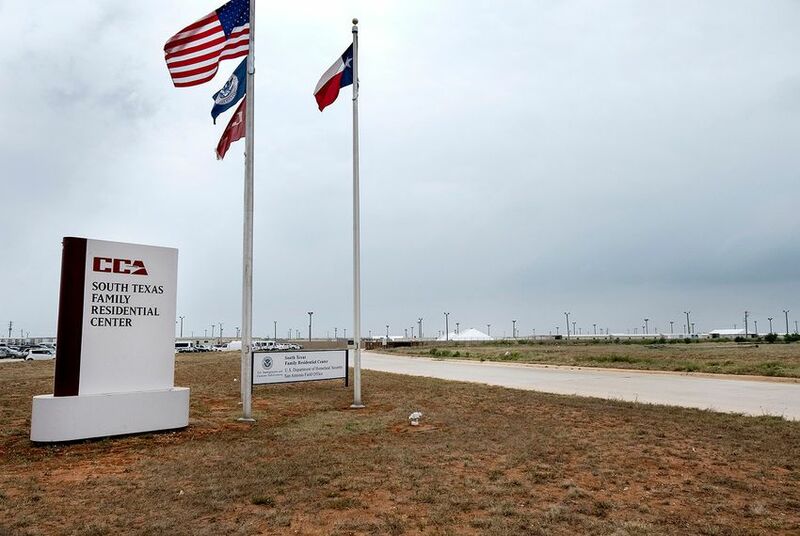 When the mother’s children were sent to a facility in New York, immigration officials told her she would be detained in Texas because a judge needed to talk to her. She was told they would only be apart for a week at most. That was a month ago.